Is another Boko Haram or al-Shabaab erupting in Mozambique? A sudden upsurge in brutal violence in northern Mozambique, including the beheadings of women and children, has sounded alarms that a violent jihadist movement like Boko Haram or al-Shabaab could be evolving. Since October last year, over 50 people have been killed in about 20 attacks in Cabo Delgado province on the Tanzania border. Gruesome footage of headless and mutilated bodies has been circulating on social media, accelerating an exodus of citizens from the region. Multinational energy companies poised to exploit Cabo Delgado’s huge liquefied natural gas reserves have paused. Fears are growing that the violence could sabotage the exploitation of this valuable resource which remains Mozambique’s one great hope for defeating poverty. Those allegedly responsible for the attacks apparently call themselves Ahlu Sunnah Wa-Jamâ (often abbreviated to al-Sunnah). Locals dub them al-Shabaab, even though the group doesn’t seem to be formally affiliated to its more famous Somali namesake. 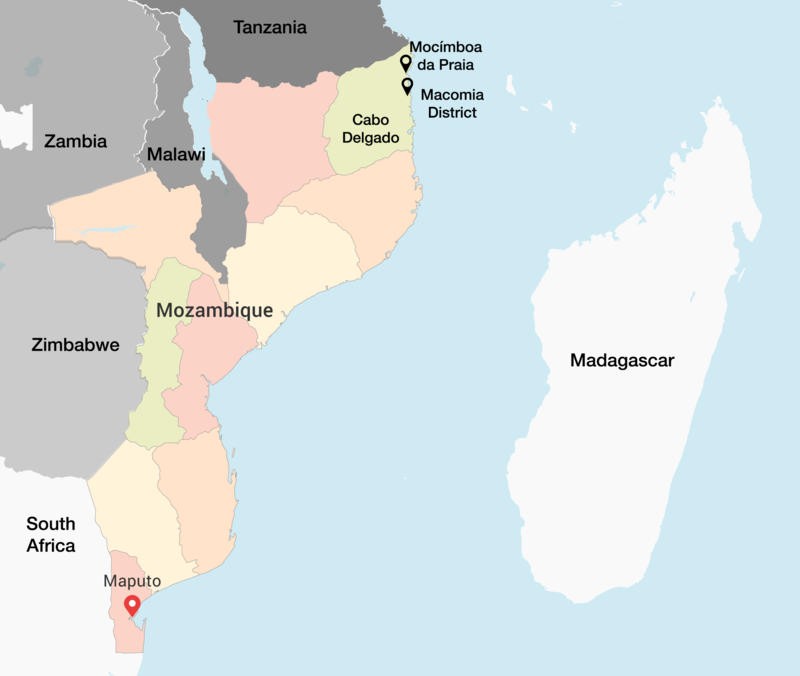 Has full-blown violent Islamist extremism arrived in Mozambique, and indeed in southern Africa? Or are these just poor, marginalised locals presenting ordinary crimes as something else? Or are they perhaps the Mozambican National Resistance (Renamo) in disguise? Or, even more cynically, are mercenaries deliberately stoking violence to win a lucrative contract to protect the natural gas industry? Interpretations have differed widely. But the latest attacks seem to be forging a growing consensus that this is indeed an incipient local variant of the sort of violent Islamist extremism seen elsewhere in Africa. Both Mozambique and the Southern African Development Community (SADC) should be paying more attention. The birth of al-Sunnah in Cabo Delgado dates back to 2013 or early 2014, according to independent security analyst Johann Smith. But on 5 October last year it caught wider attention. Thirty to 40 gunmen launched well-coordinated simultaneous attacks on three police or military posts in the coastal town of Moćimboa da Praia, 70 km south of the Tanzania border. Two police officers and 14 assailants were killed, Smith said. The attacks in Cabo Delgado continued at a lower level. But they took a sinister turn on 27 May 2018 when attackers killed 10 unarmed civilians, several of whom were beheaded; and burnt many houses in Monjane village in the district of Macomia. Police spokesman Inacio Dina told reporters in Maputo that the killers were common bandits, not terrorists. But analysts believe these gruesome attacks on civilians demonstrate that al-Sunnah has raised its terror campaign to a new level. The upsurge in violence is also threatening Mozambique’s $30 billion gas bonanza, Bloomberg reported last week. It said London-listed explorer Wentworth Resources hadn’t been able to gain access to its onshore licences near Moćimboa da Praia due to safety concerns since the attacks. This week Reuters reported that US-based Anadarko Petroleum declined to comment on reports that it had suspended work on its massive natural gas project in Mozambique. Some observers are suspicious about the coincidence of the upsurge in attacks and the awarding of a $750 million contract for protecting gas fields to a private security consortium. The consortium involves Erik Prince – founder of the famous US private security/military company – and a Mozambique company linked to government intelligence. Others have implicated ISIS and al-Shabaab, and some dismiss all this as alarmist sensationalism. However the most comprehensive known investigation of al-Sunnah so far suggests this is a genuine violent extremist Islamist phenomenon, with some links to foreign jihadists, though not necessarily directed by them. Islamic cleric Sheikh Saide Habibo and academics Salvador Forquilha, director of the Institute of Economic and Social Studies and João Pereira, assistant professor at Eduardo Mondlane University, conducted three field trips to Cabo Delgado and Nampula provinces in November, December and February. They interviewed a wide cross-section of society. 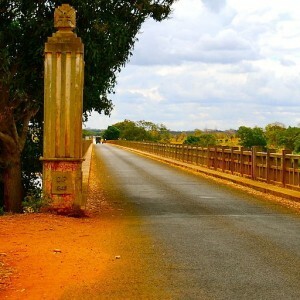 In their report presented late last month, they concluded that Ahlu Sunnah Wa-Jamâ (which translates roughly as ‘adherents of the prophetic tradition’) first appeared in the north of Cabo Delgado as a religious group. In 2015 military cells were formed. The province has a Muslim population of about 58%, compared to 18% for Mozambique as a whole. Most al-Sunnah adherents are youths who feel local communities are not practising correct Islam, the researchers found. They don’t send their children to state schools. The group’s leaders have links with ‘religious circles, commercial and military activities of radical Islamist groups in Tanzania, Somalia, Kenya and the Great Lakes Region’ – mostly through training there, the report said. Adherents have a uniform and distinctive appearance, wearing white turbans, robes and long black shorts; shaving their hair and sporting large beards. They are ‘armed with white weapons to symbolise jihad’. The picture of al-Sunnah painted by the three researchers resembles the beginnings of violent Islamist extremist groups elsewhere, like Boko Haram, some analysts warn. Most members are ‘socially marginalised youth: without formal employment; without schooling’. They’re largely from the Mwani ethnic group, though they include young immigrants from other countries such as Tanzania, Somalia and the Great Lakes Region. These people have been radicalised by ‘degrading social conditions’ in the country’s poorest province, as well as a sense of ‘political exclusion’. The members are trained both locally – sometimes by disaffected police officers and security guards – and externally in Tanzania and the Great Lakes Region by militia chiefs hired by al-Shabaab in Tanzania, Kenya and Somalia. They preach the usual doctrines, including sharia law. They finance themselves from illicit activities such as wood, charcoal, ivory and ruby smuggling and outside donations. The report concludes with several pertinent questions, including how this Islamic radicalisation might affect current efforts to stabilise Mozambique economically and politically and what government should do about it. Some reports say the government has already responded harshly by clamping down indiscriminately with many arrests and the closure of mosques and madrassas. If Pereira et al. are correct, the Mozambican authorities should start by acknowledging the real nature of the problem. They should then take care to target their counter-extremism measures more selectively while tackling the socio-economic root causes of extremism that are so evident in Cabo Delgado. Maputo should take note in particular of the recent United Nations Development Programme report Journey to Extremism in Africa. Researchers interviewed 718 people, 495 of whom had been directly involved in extremist groups. For 71% of the respondents, the tipping point that prompted them to join extremist groups was violent or repressive government actions against them or others close to them. Smith fears that without proper intervention, al-Sunnah could go the way of Boko Haram. He is concerned that neither Mozambique nor SADC are taking the threat seriously enough.